PHUKET: MontAzure, the expansive mixed-use resort residential community at Kamala Beach, on Phuket’s west coast, joined forces with Phuket Life Saving Club & Surf Life Saving Australia to hold a Phuket Kid’s Water Safety Training Program event at MontAzure Beachfront Sales Gallery and HQ Beach Lounge on Saturday (July 22). More than 50 Thai and international children joined the event and were divided into groups based on their swimming skills, first language and age group. The kids were given instruction on a range of key skills by a team of 12 visiting professional lifeguards from Australia, assisted by 15 lifeguards from around Phuket. The training sessions included basic water safety principals, the role of a lifeguard, basic CPR, and understanding tides and surf conditions. Capt Borworn Keawpromngam, Deputy Chief of the Phuket office for Internal Security Operations Command (ISOC), and Karoon Sriden, Chief Executive of Kamala Tambon Administration Organisation (OrBorTor), joined the event, along with seven members of the MontAzure executive team, who lent a hand and make sure the children were engaged and motivated throughout the day. MontAzure will also provide ongoing support a “Nippers Lifesaving Club” to be implemented later in the year. “We are pleased to support this important initiative and help increase awareness and knowledge of beach safety amongst local children and their parents by providing on going assistance and volunteer participation,” says Setthaphol Boottho, Executive Director, MontAzure. The Kids Water Safety Program is an island-wide initiative designed to encourage children to have fun while learning to stay safe at the beach. Young participants join in a wide range of games, sports and educational activities, which are designed to build confidence in and around the water. The educational component of the program also includes beach safety, sun safety, learning what a lifesaver is and what they do, as well as fun physical activities include wading, board paddling and beach games. Older kids are also introduced to some of the basic principles of surf safety such as general rescue techniques and first aid. 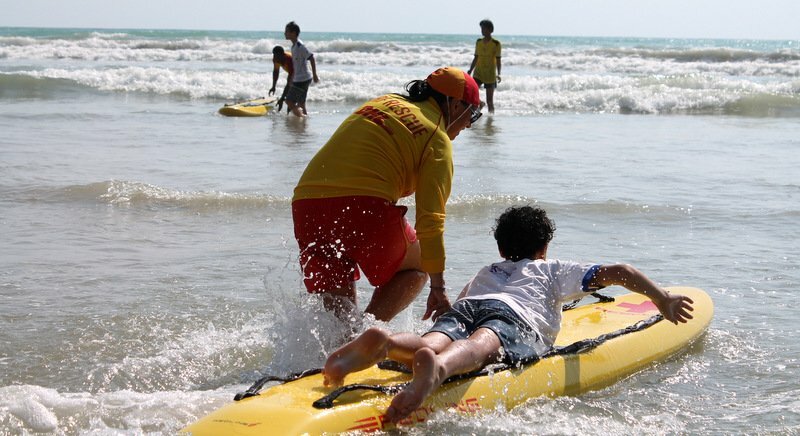 Phuket Life Saving Club was formed in 2003 by a group of trained lifeguards, former lifeguards and concerned citizens with the aim to develop lifesaving around Phuket by improving water safety at pools and beaches. 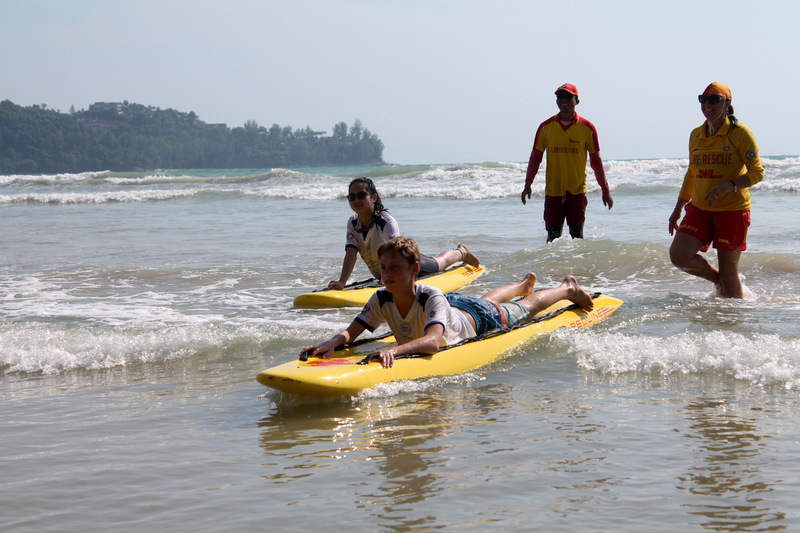 The club has worked closely with Surf Lifesaving Australia for several years to develop programs and bring professional trainers to Phuket to train lifeguards on an annual basis. To find out more about the safety initiative, email thailifeguard@gmail.com. The Kid’s Water Safety Training was proudly sponsored by The Phuket News.